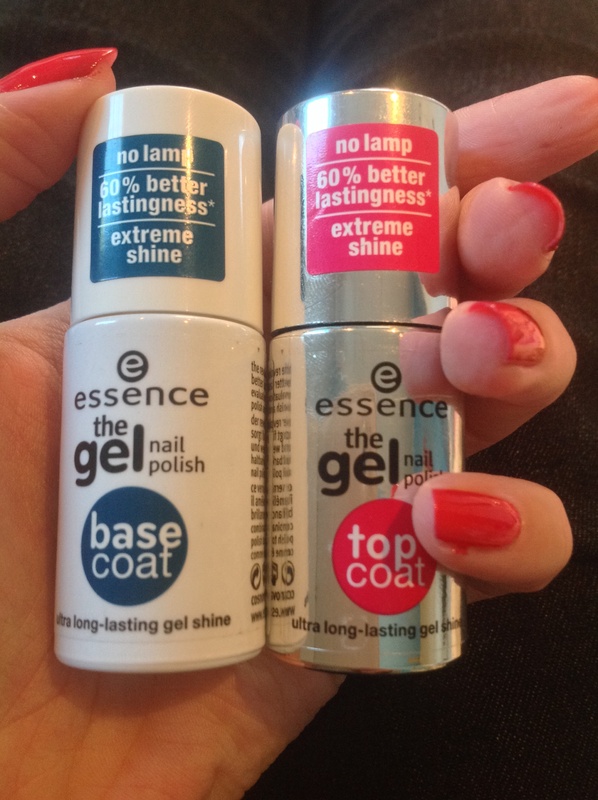 I recently received some Essence The Gel nail Polish items, the top & base coats as well as two fantastic colors! And i must say I’m even more excited now after trying them than I was when the courier dropped them off! I started by cleaning my nails with a little nail Polish remover first just to get the nature oils and dirt off . I then applied the Base coat and gave it a few minutes to dry or tho I have to say it dried so quick I could actually have given it less time between coast but i am however used to being careful and not rushing. 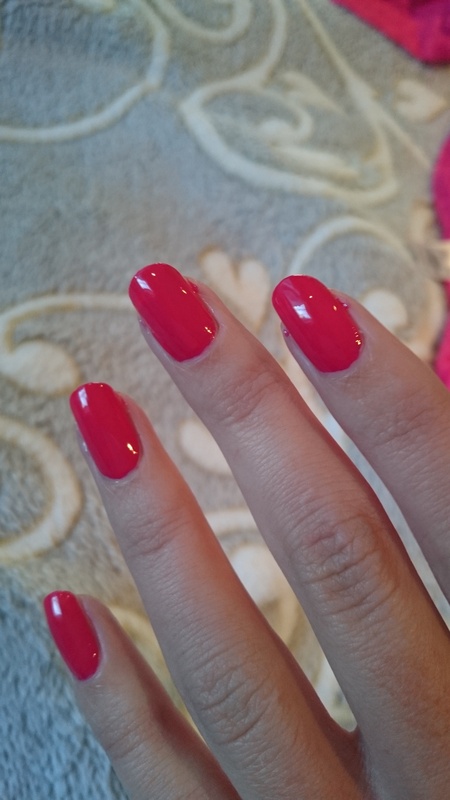 After applying the base coated i grabbed the glamorous Red color in shade 11 4 ever young and I started to apply a coat, you can immediately see the quality of the nail Polish is thick like gel Polish with high shine and intense color, like you don’t get color like that from normal nail Polish! It’s not the thin see through crappy kinda first coat look, it’s already got a gel look to it and it went on easy and again dried fast! So I did two thin coats of the red before applying the top coat. But do be sure to check it’s dry between coats. By this time I had actually forgot about the top coat lol cause its already so shiny that I actually didn’t think it needed it but for the sake of it lasting as long as they say it does it, I now did my top coat. The top coat is by far the best top coat i have had in a long time! 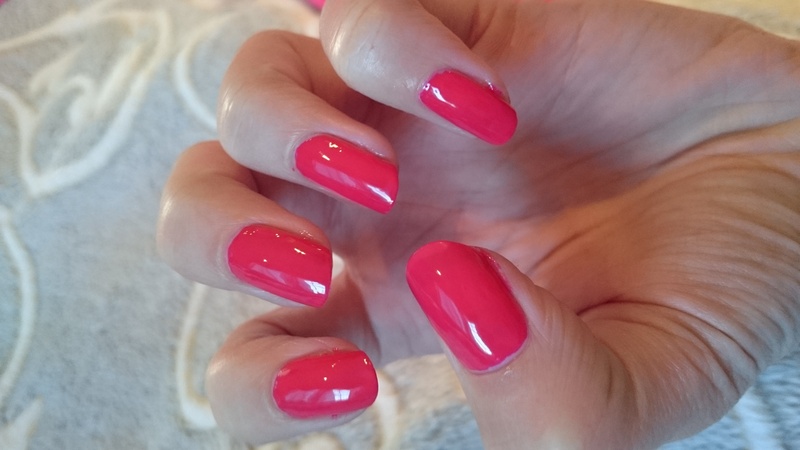 The consistency of it was nice and the application went well and was easy, I’m sure anyone can manage getting the perfect manicure with these wonderful products! The shine is really out of this worl glass like gloss high shine finish! It really honestly was super easy to achieve and does look like you have had your nails done at the salon it looks so grand!! I highly recommend you try these out and please give me some feedback if you do! And if your not convinced yet the price surely will! They go for R23 a color at dischem!!!! Super easy skin clearing tips using Body shop Tea Tree products! Do you think we can use any nail polishes with the base and tops coats or must it specifically be the Essence polishes? Yes use any, I mix my brands with the essence too and base Coat. Still lasts just as long!! So many pretty colors, I got a bit stuck in dischem looking at it all lol. I went looking for more colors. 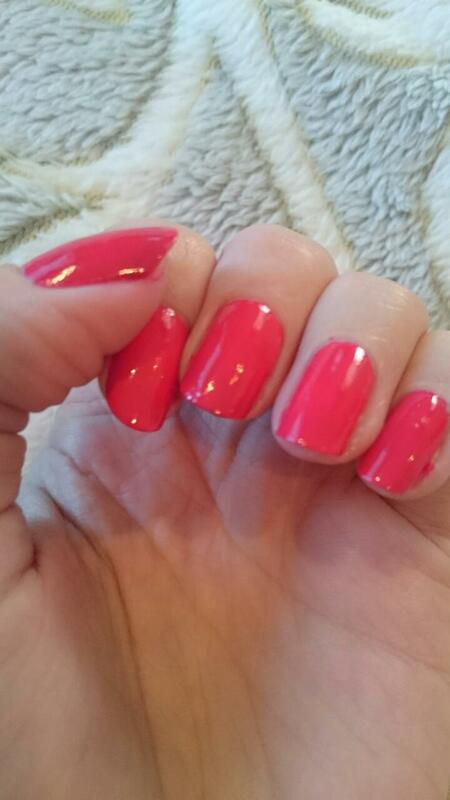 You must definitely try the top and base Coat! That top coat gives such a amazing shine!